A new study has been launched into the decline in wild salmon numbers. The research will help the aquaculture industry address the challenge of replacing decreasing levels of wild feedstock over the next decade. The industry has recognised that the reduction in wild fish available as feed will cause a drop in the levels of omega-3 fatty acids found in salmon, leading to a drop in the marketable quality of the fish. Using the experimental gut, the researchers will focus on the link between gut microbiota, the bacteria that colonise the intestine, and the development and digestion of salmon. They aim to develop a better understanding of how the microbes can help efficient absorption of novel feeds in salmon. Led by scientists at the University of Glasgow, the three-year SalmoSim project, is being carried out in collaboration with the Marine Institute and University College Cork, the Norwegian food research institute, Nofima, and salmon producers Marine Harvest and Alltech. Dr Martin Llewellyn, from the University of Glasgow’s School of Life Sciences, said: “The experimental gut system, once established, will represent a powerful tool for carrying out basic and applied research into fish digestion. Salmon farming and aquaculture is of increasing significance, in terms of economics and food sustainability. 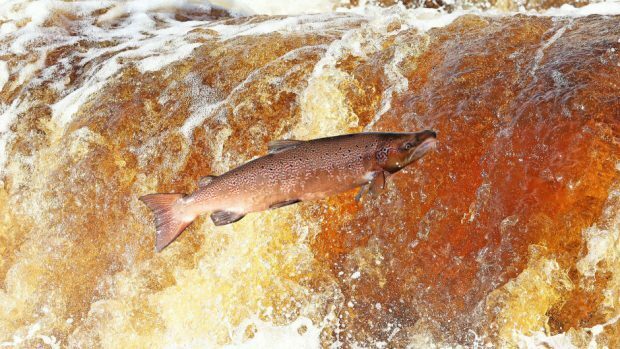 In Scotland, Atlantic salmon is now the number one food export. Nearly 180,000 tonnes of farmed Atlantic salmon was produced in 2014 and the sector provides employment for an estimated 7,000 people. The Scottish Government and industry leaders anticipate as much as a 30% increase in production by 2020. The initial SalmoSim project will run for just over three years. But the researchers hope tool developed will provide a valuable test-bed for novel feeds and feed formulations in the longer term.